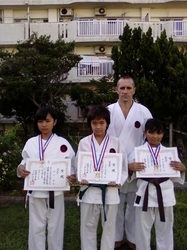 On the 12 July 2009 the "21. 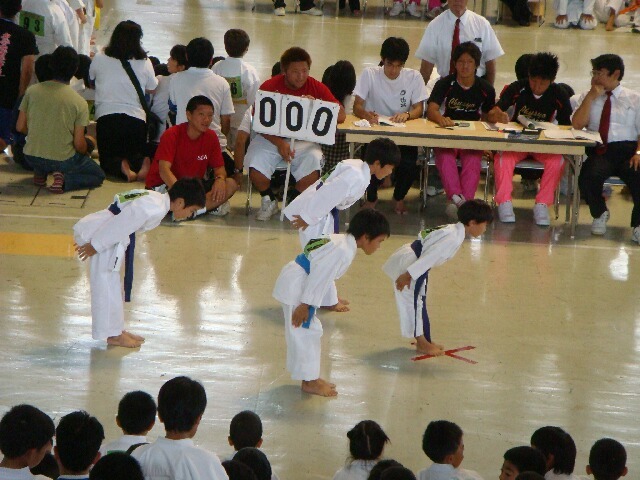 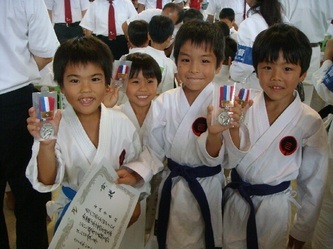 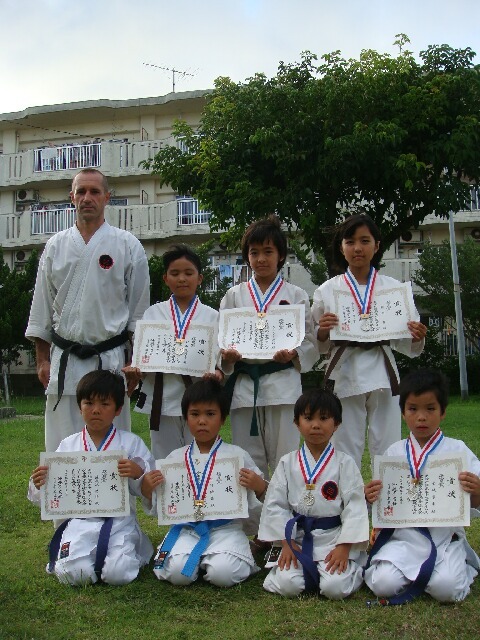 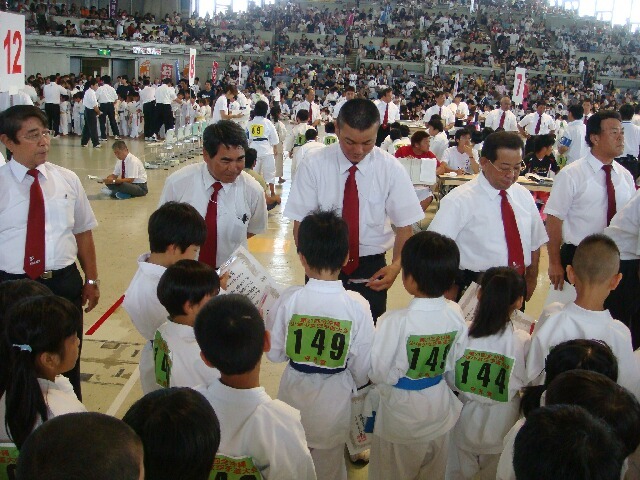 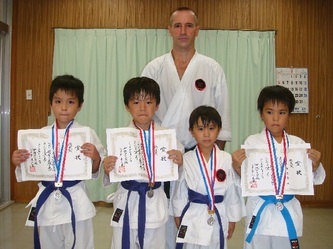 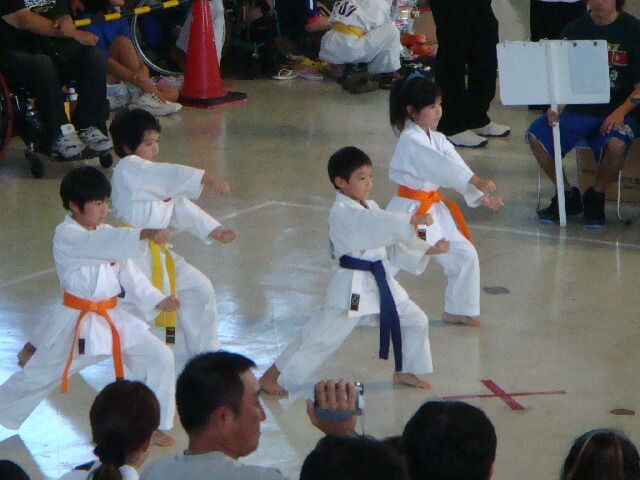 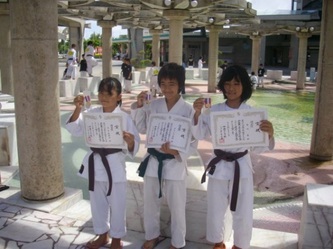 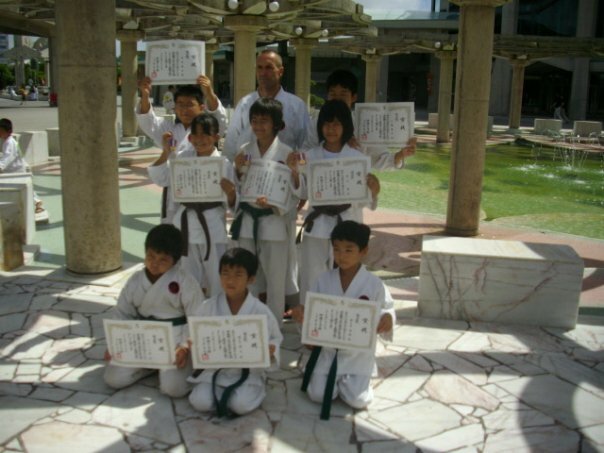 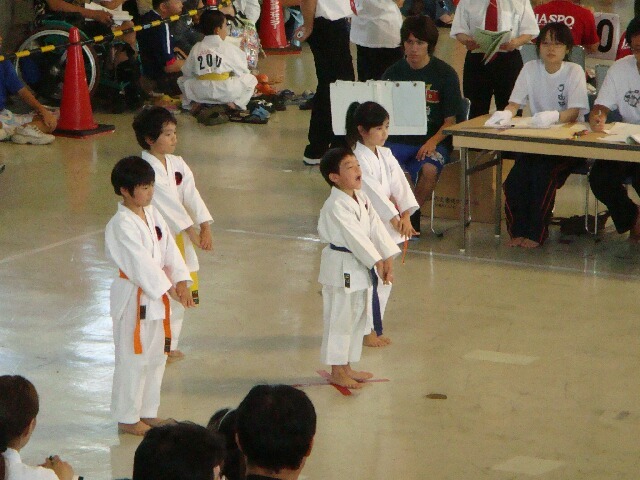 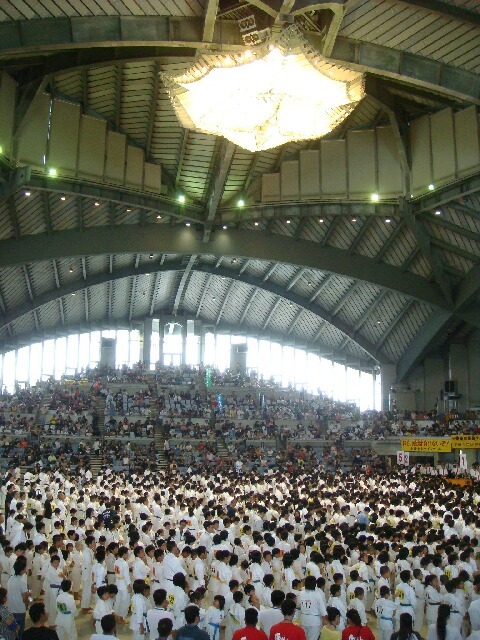 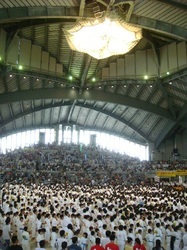 Okinawa Times Competition" kata tournament was held at the Ginowan Convention Center. The A-team consisting of Masaki, Moe, Asaka performed Seyunchin and the H-team consisting of Keishi, Yuusaku, Riku, Yuusuke performed Gekisai dai-ichi. 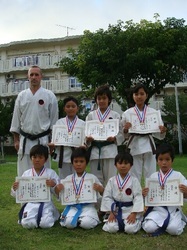 Both teams performed well, achieving second placed and the silver medal. 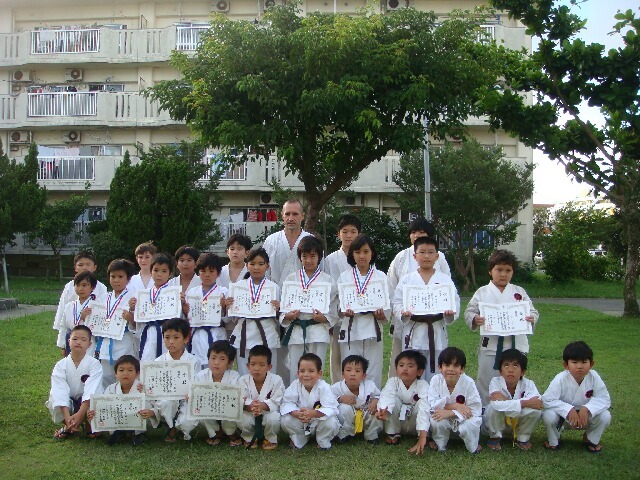 I was very pleased and satisfied with their effort, my students level is gradually improving. 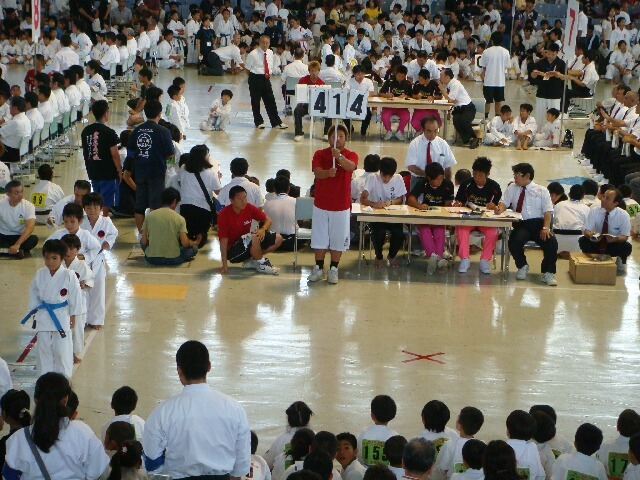 This time we practiced a lot harder and were better prepared, even though it was not quit enough, it was still a good result. I congratulated all of my students, but pointed out to them that we will have do practice even more and harder.